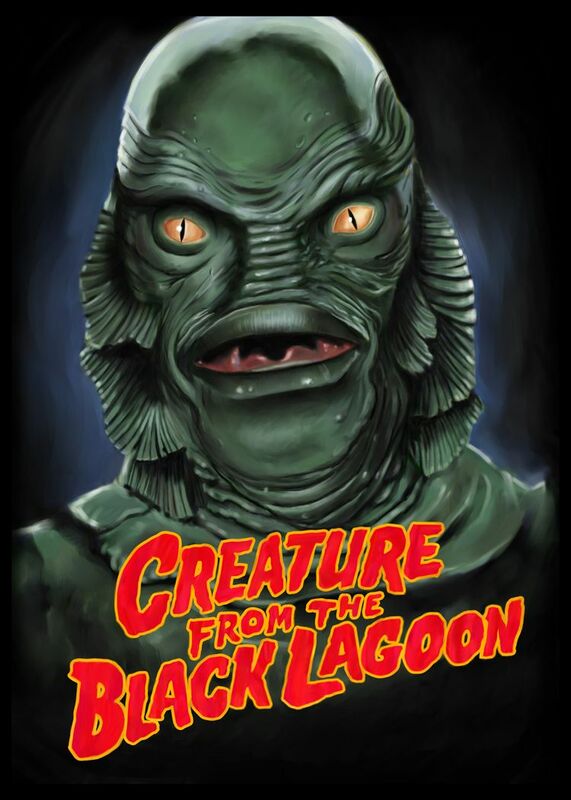 WE HEAD TO THE BLACK LAGOON FOR THE ULTIMATE CREATURE FEATURE! For the last article of 2016, we charter a rickety boat to take us into the mysterious depths of the Amazon where we try to find the facts behind THE CREATURE FROM THE BLACK LAGOON! This fish-faced monster has endured for over fifty years as one of the most famous ever created. Now I try to exxamine his history and background, including the surprising truth about who designed his unique make-up. We look at all three of the classic "Creature" movies and more. So grab your spear gun and your scuba tank as we dive into the Black Lagoon and reveal all HERE! In the coming weeks, you'll be seeing THERON MOORE's interviews with two great Midwestern bands....the long running Chicago power metal masters DAMIEN THORNE and the fast-rising hellraisers from my hometown of Rockford, BEYOND THRESHOLD! Plus I will have a chat with one of the most illustrious pro wrestling announcers ever, GARY MICHAEL CAPPETTA! And of course we'll have the infamous Wormwood TOP 10 of 2016 lists! Plus lots more! The last batch of 2016 Torture Chamber reviews is just as twisted as you've come to expect! HOATH "Codex III: Crown of the Mind"
LIGHT & SHADE "The Essence of Everything"